Ari Fleischer, the former White House Press Secretary under President George W. Bush, ignited a firestorm of controversy Wednesday when, while commenting on the 16th anniversary of the U.S invasion of Iraq, he sought to defend the reputation of his boss when it came to the veracity of the claims about Iraqi Weapons of Mass Destruction (WMD) that underpinned President Bush's case for war. "The Iraq war began sixteen years ago tomorrow," Fleischer tweeted on March 19. "There is a myth about the war that I have been meaning to set straight for years. After no WMDs were found, the left claimed 'Bush lied. People died.' This accusation itself is a lie. It's time to put it to rest." "The CIA, along with the intelligence services of Egypt, France, Israel and others concluded that Saddam had WMD. We all turned out to be wrong. That is very different from lying." 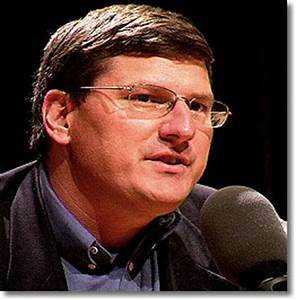 As a Chief Weapons Inspector with the United Nations Special Commission (UNSCOM) in Iraq from 1991 through 1998, I was intimately familiar with the intelligence used by the U.S. Intelligence Community to underpin the case for war (which I debunked in June 2002 in an article published in Arms Control Today). Armed with the unique insights that came from this experience, I can state clearly and without any reservation that Ari Fleischer, once again, has misrepresented the facts when it comes to the Bush administration's decision to invade Iraq in March 2003. The fact is, the Iraq War was never about WMD. Rather, it was waged for one purpose and one purpose only regime change. Getting rid of Saddam Hussein was the sole focus of this effort, and the so-called "intelligence" used to justify this act was merely an excuse for action. Ari Fleischer knows this, and to contend otherwise as he does via twitter is simply a continuation of the lies he told from the very beginning about the U.S. case for war with Iraq. UNSCOM had, by the fall of 2002, been relegated to the pages of history, replaced by a new inspection organization, the United Nations Monitoring, Verification and Inspection Commission (UNMOVIC). 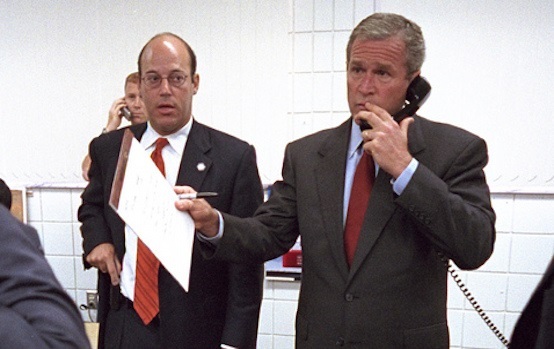 It is through the work of UNMOVIC that Ari Fleischer's defense of George W. Bush collapses. In November 2002 the Bush administration pushed for the UN Security Council to pass Resolution 1441, which found Iraq to be in "material breach" of its disarmament obligations. Inspectors from UNMOVIC were dispatched to Iraq shortly thereafter in a last-ditch effort to account for the totality of Iraq's WMD. "It is very well true that the inspectors who are working as diligently as they can in an environment made very difficult for them by Iraqi actions, may not be giving notice," Fleischer explained in a press conference, "but that does not mean Iraq is not receiving notice as a result of their electronic means and other means to know what the inspectors are doing. Which puts the inspectors in a very hard position." But Fleischer had no evidence that Iraq was getting advance notice, and the experience of UNMOVIC inspectors on the ground suggested otherwise. When asked by a reporter about the possibility of giving the UN weapons inspectors more time to complete their task, Fleischer fired back, asking "More time for what? More time to be run-around by a regime that has not complied, that has concealed its weapons, and that has grown throughout the years particularly the four years when no one was in the country extraordinarily good at hiding what they have and deceiving those who are there to do their level best." "If the UK and the U.S. are convinced and they say they have evidence," Hans Blix, the head of UNMOVIC, had noted on December 20, 2002, "then one would expect they would be able to tell us where is this stuff." When asked if they were getting cooperation from U.S. and Western intelligence agencies, Blix replied, "Not yet. We get some, but we don't get all we need." In 2010, Blix commented on the provisions of Security Council resolution 1441, which had declared Iraq to be in "material breach" of its obligation to disarm, and which was cited by Ari Fleischer to justify the invasion and occupation of Iraq in March 2003. "The declaration, I felt, might give Iraq a chance for a new start," Blix noted, "except that it was very hard for them to declare any weapons when they didn't have any." This is the conclusion that anyone taking umbrage with Ari Fleischer over his attempt to whitewash the role he played as an extension of President George W. Bush in facilitating the Iraq War should rely on. Deflecting blame onto the U.S. intelligence community ignores the fact that the decision to go to war was the exclusive purview of the Executive Branch that Fleischer served. Iraq's alleged retention of proscribed WMD were merely an excuse to achieve the higher goal of regime change. The inspection process initiated in November 2002 to investigate Iraq's WMD programs was, from the U.S. perspective, a façade created to justify a decision to go to war that was made long before the inspectors ever set foot on the ground. W Bush - launching a War of Aggression against Iraq and lying profusely ("Fraudulent Justification" - Article II Bush Articles of Impeachment) to do so. #TakeAction.